Each chapter of James’ book is written in first-person, but the character speaking changes from chapter to chapter. There is Papa-Lo, don of Copenhagen City; Barry Diflorio, the CIA station chief; Nina Burgess, a former receptionist; Bam Bam, a gang member in Papa-Lo’s organization; Josey Wales, Papa-Lo’s head enforces who has started to act on his own; and Sir Arthur Jennings, a dead politician. Each person has a distinct voice, a distinct cadence, and a distinct view on what makes speech good or bad. As a reader, I am pulled into this dynamic, whether I like it or not. James does not moderate between his characters. He does not tell us which voices we should trust, which narrators are unreliable, who has true insight into Jamaican politics, into the war brewing in Kingston. We are left to decide for ourselves what voices are authoritative, authentic, trustworthy, stupid. And we are left with our own skill, or lack thereof. For me, some characters, specifically those whose voices most approximate white English, even white Academic English, are easy. This is my world. Other voices are difficult. Like reading Chaucer, I have to read their words out loud in order to understand them. And even then, I can only guess at the meanings and associations of much of their vocabulary. I feel a little stupid. And impatient; I have to read so slowly, and it is a long book. The politics of language in 1970s Jamaica may seem irrelevant to life at Duke. But first-years have just arrived on campus, and many are about to find out (if they haven’t already) that how you talk matters. Some arrive already speaking the approved language of academia. Because of where they are from, or the school they went to, or the tutoring their parents paid for, they know how to sound educated. Others arrive with other languages. Foreign dialects, southern drawls, working class vocabulary, the cadences of black English. Like the speech of Kingston’s Copenhagen City, these may serve as a badge of authenticity in some circles. In others, less so: people don’t quite hear your words, fail give your comments weight, assume you are a little dim. Class, race, education. Open your mouth, and just as in James’ book, people make assumptions. And then what do you do? Mock, imitate, code switch, retrain your tongue? What do you do when you are the one making the assumptions, the one who for some reason or another gets to decide the difference between “chatting bad” and “speaking proper”? 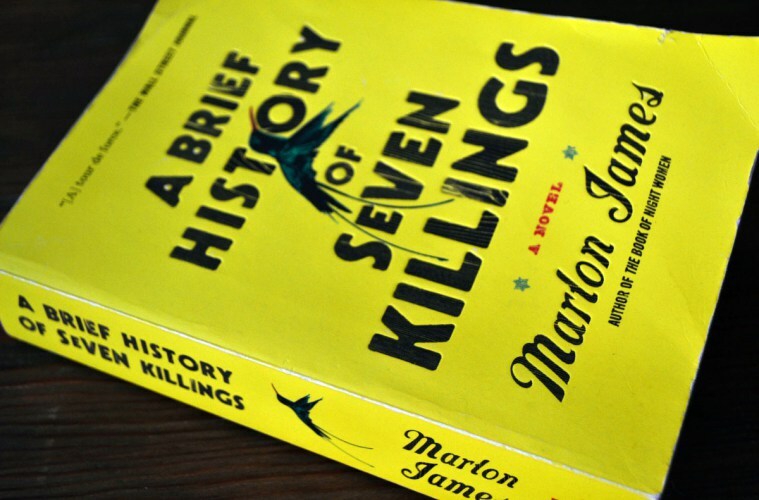 If these questions sound interesting to you, and you want to learn more about James’ rich novel, Kenan senior fellow Adriane Lentz-Smith will be interviewing Marlon James on Friday, September 7th, at 7:00 at the Durham Arts Council. This event is free and open to the public. Click here for more information.